Knowingly seeing an individual bird that has been previously encountered is a special treat in the world of birding. Most birders would probably agree that the fascinating life cycles of these wild creatures are among the greatest draws that keep people invested in the hobby. It is a truly remarkable privilege to witness multiple chapters in the stories of specific birds. Repeated meetings occur more frequently than one might expect, given the difficult, fast-paced, and often short lives many species lead. Even so, it never gets old. The high-profile sagas of rarities and vagrants regularly feature surprising encore performances. Wayward birds sometimes reappear months later and hundreds, if not thousands, of miles away from the original discovery site. Recent examples include the magnificent Texas-to-Maine journey of the late Great Black Hawk and subsequent sightings of the 2017 Pennsylvania Black-backed Oriole in Massachusetts and Connecticut. No one likes to let vacation time go to waste. As my schedule began to fill up with responsibilities and obligations, it became apparent that I wouldn’t be able to orchestrate a grand international adventure for my February break this year. Nevertheless, I still had a few days to spare and didn’t want to spend them just sitting around. I decided to set my sights on a relatively local destination for a short-but-sweet jaunt up to the Adirondack Mountains. The planned itinerary outlined a lightning round sweep through the best boreal habitat. There were several specialty species I hoped to add to my various lists, and the opportunity to spend some quality time in the wintry woods was exactly the change of pace I craved. Newcomb I made great time on my journey north, departing from Long Island before sunrise and reaching the Adirondacks around 10 AM. Year listing is one of the most popular traditions in the world of birding. The annual cycle of seasons is felt especially strongly by those of us who immerse ourselves in the world of birds, and each new year brings a new set of chances to enjoy unforgettable experiences. On behalf of the whole Nemesis Bird team, I’d like to extend best wishes for a healthy and happy 2019 full of avian excitement to all of our readers! May the dips be few, may the twitches be successful, and may all your birding resolutions come to fruition. Gotta Start Somewhere Even casual birders who do not keep an annual total of the species they observe often take note of the first bird they encounter at the start of a new year. If you’re like me, you’ve waited to the last minute to even think of buying Christmas gifts because you just haven’t found the time. If you buy this for me, we aren’t friends Between birding, work (more birding), and planning future birding (CBC), you’d think I would be sick of birds, but never! 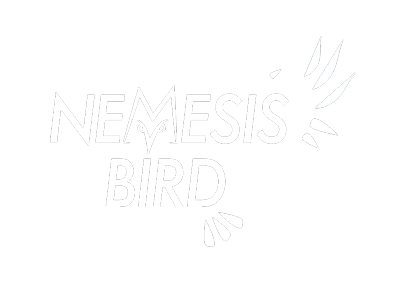 Let Nemesis Bird help you with your last minute holiday gifts for the birders and outdoor enthusiasts in your life. If you don’t find what you are looking for here, check out suggestions from previous years at: 2010, 2012, 2015, 2017 Nature and Birding Books One thing birders can never have enough of….BOOKS! A few good field guides came out this year, so I suggest these as a starting point (make sure the recipient doesn’t already own these). GULL is the word this year. At the end of every year, I like to take some time to reflect on the highs and lows of the year’s birding escapades. 2018 definitely had its rough spots, with a few painful dips and shortcomings scattered throughout, but on the whole it was a fantastic year chock full of great birds. Out of 526 species observed since January 1st, 157 were all new lifers that I had never seen before. It’s a challenge to trim that list down to something as limited as a Top 10, but the chance to relive all of these special memories made the exercise worthwhile! Let’s get started, then! 10. Blue-throated Hummingbird, Cave Creek Canyon, Arizona 8/2 Southern Arizona is home to some of the most spectacular birds in the entire ABA area. The myriad hummingbirds that inhabit the sky islands are among the flashiest attractions on that star-studded list of avifauna. It was a cold, northerly summer for yours truly this year. Fortunately, that summer was in one of the bird world’s great locations – Churchill, Manitoba. I spent two months ~25 miles outside the town of Churchill at the edge of the tundra along the coast of Hudson Bay conducting research on high latitude nesting of Savannah sparrows and Yellow warblers, while also assisting with the long-term Snow goose research. It’s why I come up here…the Snow Goose. (Photo by Steve Brenner, 2018) Churchill is a fantastic spot for bird work – it’s a relatively accessible and relatively southern place to study the far breeders of the north. There are multiple research camps nearby, and there is also a hefty amount of Polar Bear activity, research, and tours as well. “Mr. Healy, I have a question I’ve been meaning to ask you.” My coworker approached me as I was stowing my binoculars after a brief pre-work survey of the schoolyard. “I’ve been at my place in northern Jersey for years now, but this year I’ve noticed something different. There are these birds, I can only describe them as…finches?” I smiled, having suspected the nature of the question as soon as he mentioned that this season was unusual compared to the past few falls. “They’re small, with a short beak, and kind of yellow and green on the belly…and there are A LOT of them! I saw just one at first, but now my yard is full of them. Weather and fall pelagic trips often don’t mix well. The September two-day trip out of Hyannis, Massachusetts that I hoped to attend with the Brookline Birding Club was regrettably called off due to interference from the remnants of Hurricane Florence. The cancellation was a bit of a letdown, but I told myself that I was satisfied with the offshore action I experienced this year. The magical August adventure out of Brooklyn produced plenty of excitement! I’d made peace with the apparent reality that my marine birding would probably be limited to seawatching for the remainder of 2018. However, rough seas struck again. A horrendous forecast for the last weekend of October forced the See Life Paulagics team to reschedule their last New York trip of the year. The new date, on the first weekend of November, was much more favorable for me to join. It’s been some years since I worked full-time for any kind of field research project. My current job as a biology teacher doesn’t offer quite as many opportunities to “do science” outside the classroom, but I still find ways to get my fix. Ecology-focused field trips and school projects allow me to share the importance of the natural world with my students. I’m also a big believer in the merits of citizen science efforts. My fondness for data collection and review drove my progression from casual to compulsive use of eBird, and I eagerly count down to Christmas Bird Count season as the holidays approach each year. The style of birding associated with CBCs and similar survey efforts appeals to me strongly. Thoroughly combing through an area to document birds is an engaging, rewarding endeavor with real scientific value. When it rains, it pours. Fall migration can feel a bit slow at times when the winds and weather fail to cooperate, but these bouts of inactivity are frequently punctuated by impressive flights and exciting vagrants. Once the conditions finally shift favorably after a few days of stagnation, the action along the Atlantic Flyway can really heat up. Coastal New York certainly knows how to deliver in that regard. Long Island, for all its imperfections, is honestly a pretty great place to find unexpected birds. The back half of October began with a pair of stunners: a subadult Purple Gallinule discovered in Prospect Park, Brooklyn and a Scissor-tailed Flycatcher found on a ranch at Montauk Point. For those of you unfamiliar with the geography of the Empire State, those two sites are about as far apart as you can get from one another on Long Island.